If you follow me on Twitter/Instagram or remember this post from the other day, you'll know I attended a CAbi event yesterday in San Antonio. It's was a neat experience, which I'll share with you tomorrow, but today, let's just talk clothes, shall we? 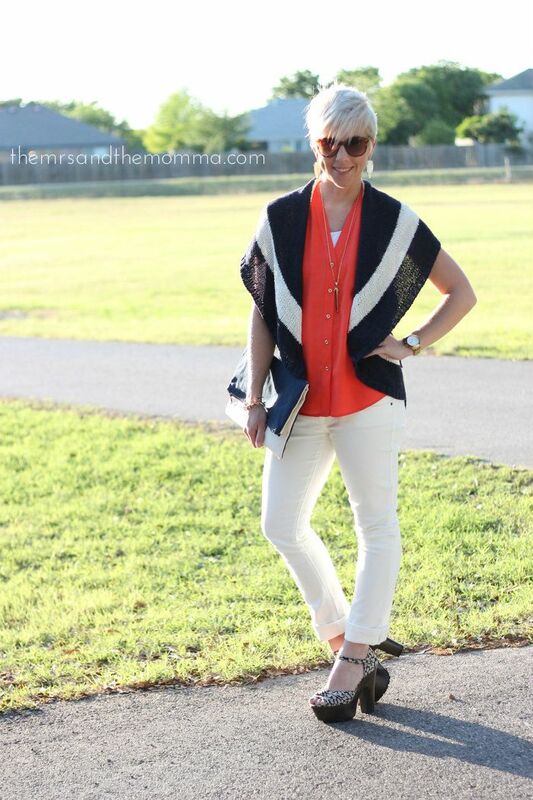 I had been wanting some white denim this summer and CAbi hit it out of the ballpark with these skinnies. LOVE them. But man, white pants are NOT dog and kid friendly...I had forgotten about that annoying fact. Nonetheless, I'll be sporting these as much as I can! 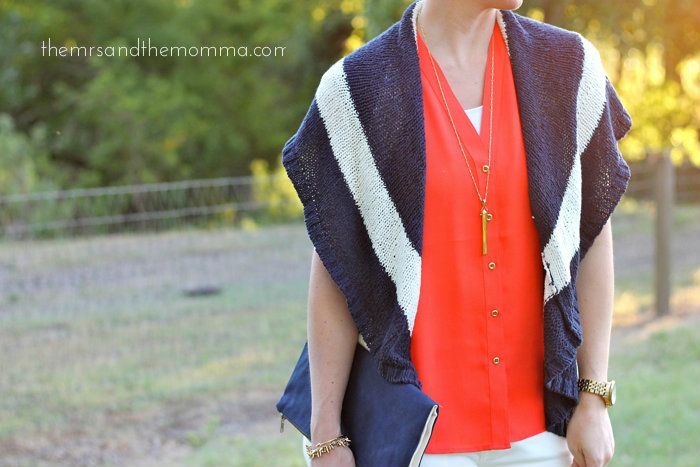 Style tip: Go for navy this spring/summer! I'm normally not much of a navy girl, but every time I wear it, I think...gosh, my closet could use some more of this color. 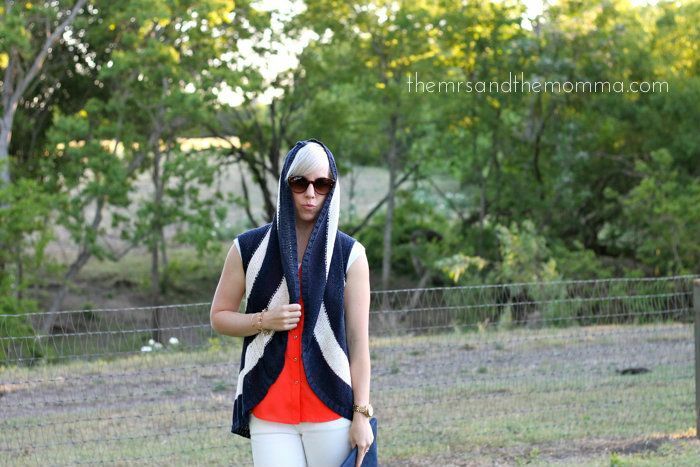 It's super flattering, while also taking the place of a heavy black during these warmer months. 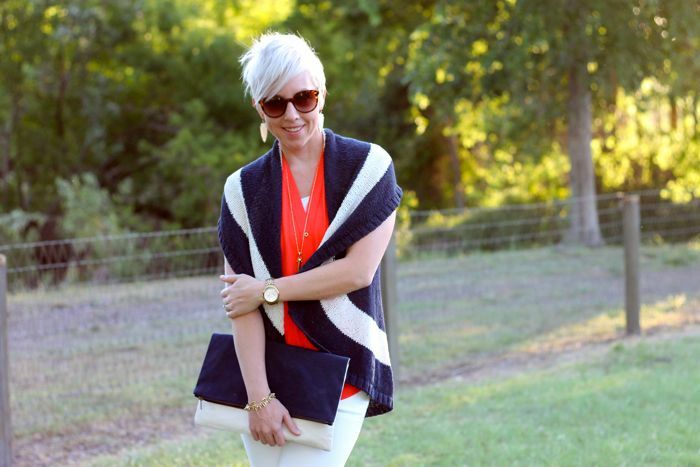 Another reason to add some navy in your life, is the nautical trend! 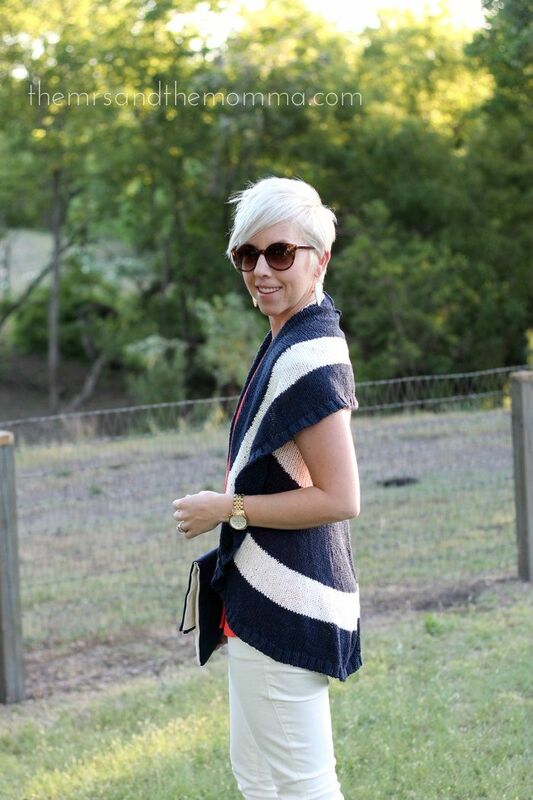 I fell in love with this striped "skipper vest"...do I look like I'm about to take off on my yacht?? ?